Reuben discovered the mysterious snail above in the forests of Kenyir, long ago. It may seem like just an ordinary snail, but to the trained eye of a malacologist (a biologist who specialises in molluscs), it didn’t look like anything he’d found before in Malaysia. 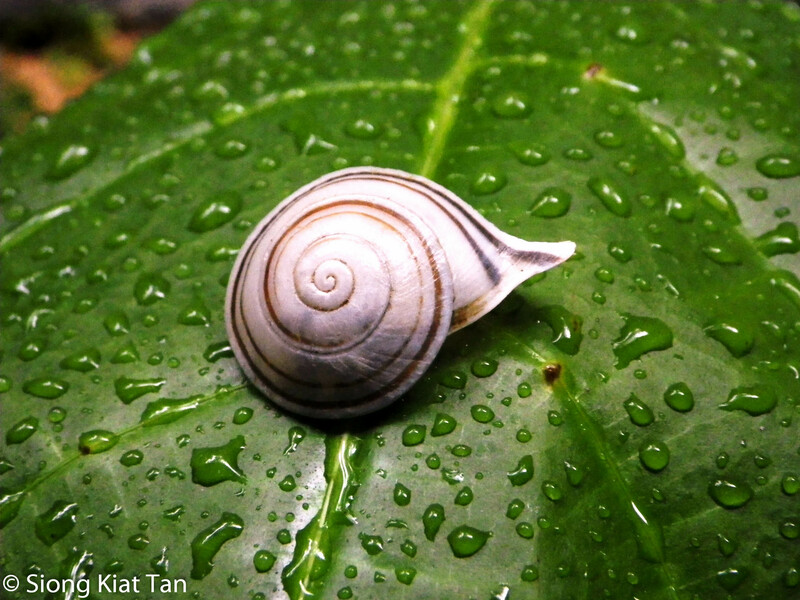 In fact, certain distinguishing features set this snail apart from any other snail in Malaysia, so after a lot of research, Reuben and his friend Siong Kiat Tan set about describing it. They discovered that in fact, no other snails in Southeast Asia’s Sundaland shared the same distinguishing features! Not only is it a new species, it’s also a completely new genus! There’s also a possibility that it could be endemic to the Kenyir area. They’ve named this strange lonely snail Kenyirus sodhii in honour of Kenyir, and also to honour the memory of Reuben’s late university professor and mentor, Prof. Navjot Sodhi. The New Straits Times featured an article about it on Monday (thanks, Sean Augustin! ), which you can read here. Also, you can read the formal description of the snail, which was recently published in the Raffles Bulletin of Zoology’s Special Memorial Issue for Navjot S. Sodhi, as well as in the latest issue in the Malaysian Naturalist here. What other new discoveries await us in the jungle yonder?? Thanks very much for your support Zaharil! Good job Reuben. The world slowest animals need your help. another new species..?? boriiinngg… heheheh..kidding. Good job dude!